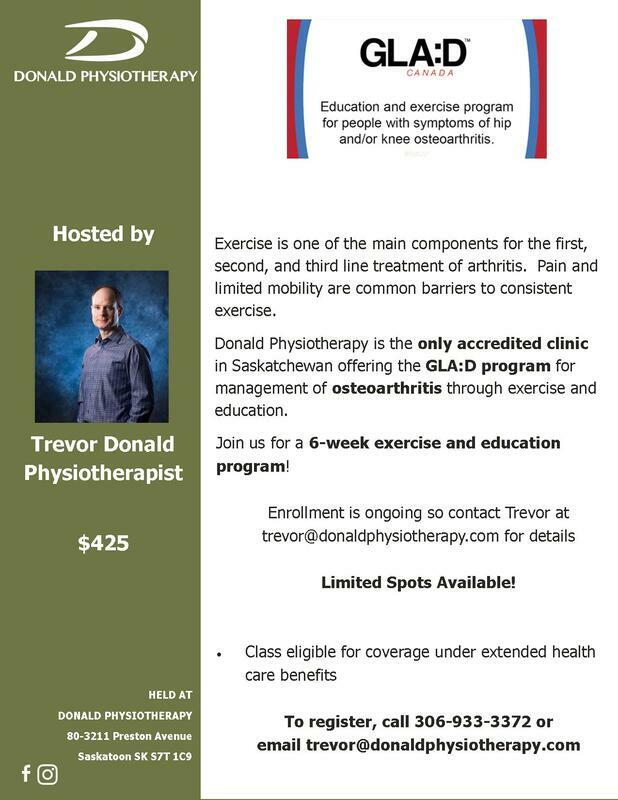 We are honoured to be able to host a variety of exercises classes in clinic! See below for more details! GLA:D or Good Living with Osteoarthritis, Denmark is a structured 6-week education and strength training program for people with hip and knee Osteoarthritis. We are currently the only accredited clinic in Saskatchewan! Enrollment is ongoing, with no set time to for sessions to start, allowing for a more flexible schedule for those interested!